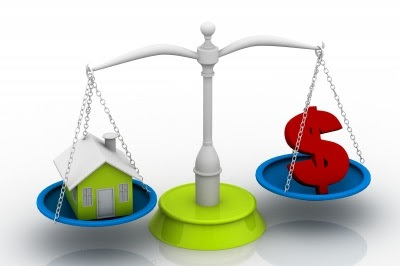 Seriously, the only advantage of property investing is LEVERAGE. I don't know any financially sound reason why someone with "cash in hand" would choose to buy and fully own a property right away. Forget that I wrote about paying up my own homeloan here, here, and here. And contradicted my original and sober position against paying up a homeloan. We did end up paying up our last homeloan in June 2013 which is exciting. But this is not really a great/ advisable move, but a "PEACE OF MIND" kind of a move. We do hate debt and are happier without. NB: If you are not particularly good with your finances, paying up your homeloan is probably your best option. The paragraphs below are for people who would invest the money that would have been extra payments on their mortgage. A homeloan is sort of risk diversification. Think about it, you own only part of your home and the bank owns the rest. Recently a SISA reader was scared of the state of affairs in the country and its impact on investing in property. Leverage is a great solution to that fear in my opinion. For 20 to 30 years, you are a co-owner of your property. Should something go bad in the sector, you have only part of the investment to worry about. What bothers me with the property ownership is its lack of liquidity. You will always have a lag in your actions. But I am grateful for investing in property at the time that we did. Its the best place to start investing... at least for us it was. In our last case for instance, we paid up our 30 year homeloan in 6 years. We saved hundreds of thousands of rands in interest. That is great right! The interest rates we last paid were 6.9% per year. That's how much we are now saving by being mortgage free. Think of what the same amount (extra payments to bond) would have achieved in our retirement accounts. Our mortgage was from January 2007. We established that we saved between 8 and 10%, because our interest rates are not fixed. I wont invest anytime in calculating the actual amount, so lets say we saved 9% in interest. Now lets look at a completely passive return on investment we forfeited. 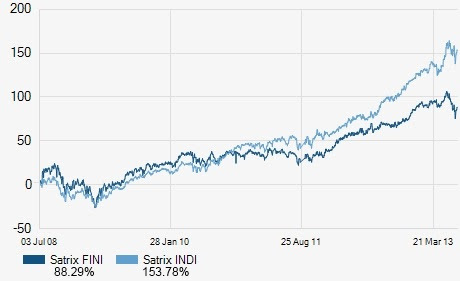 If we went the SATRIX route (because we were clueless on individual stocks at the time, and had two satrix accounts). It seems I can only get up to 5 years charts in their website. Oh well Satrix FINI managed to get a whooping 17.7% per year in the 5 years whilst INDI got 30.8% per year. This is what we would have achieved by skipping the mortgage payment and focusing on investing in one of the two satrix investment accounts. Well since we didn't go with the profitable plan, we are still appreciating the fact that we won't pay any mortgage this month. I think we will go on a mini holiday using that money. Something a bit out of character and extravagant. And then go get a much cheaper access bond on that account and withdraw it to try and invest it wisely. And maybe this family will let me use some of it to buy me a nicer car seeing that my car fund is not ready yet and our other car is in a "please replace me" state. Whats your take on and against paying up a homeloan?